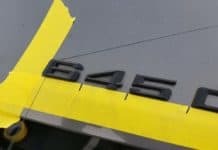 One of the more popular customizations on the BMW M3 is replacing the basic side chrome grilles with a more stylized option. 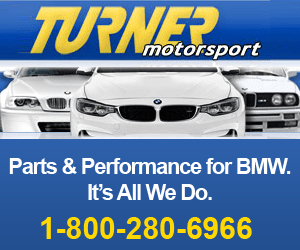 A BMW M3 side grille replacement is quick and easy and a great way to add a more aggressive look to your ride. 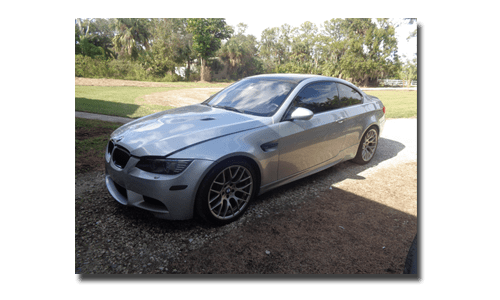 It seems these days more and more BMW M3 owners are trying to find tasteful ways to remove the chrome for their vehicles to give them a more aggressive track look. 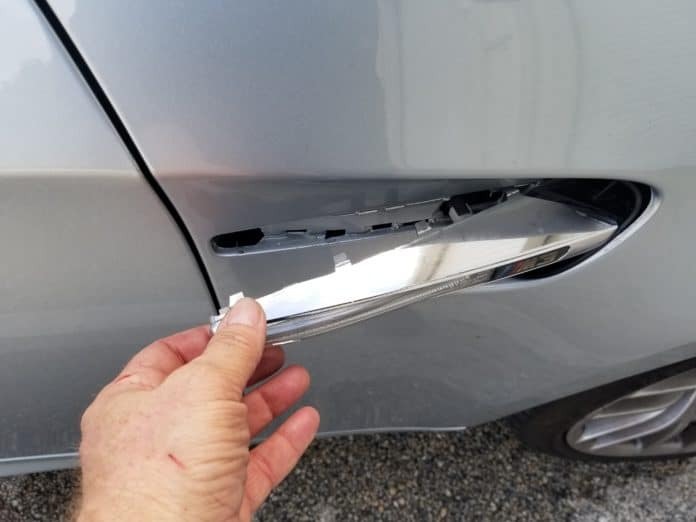 A BMW side grille replacement is an easy way to clean up the side stance of your car, especially if most of the other trim on your car is black or carbon fiber. 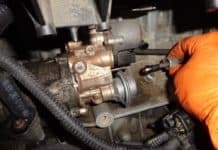 You may be reading this article because you only need to replace or upgrade your side grille LED lights. Whatever your goal is, removing the side grilles is simple…as long as you do it the right way. 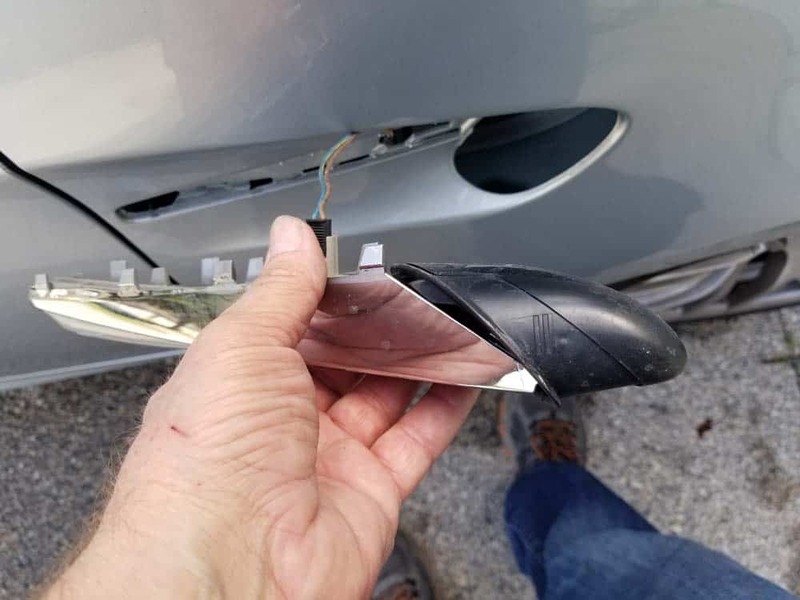 Doing it the wrong way risks scratching your paint. 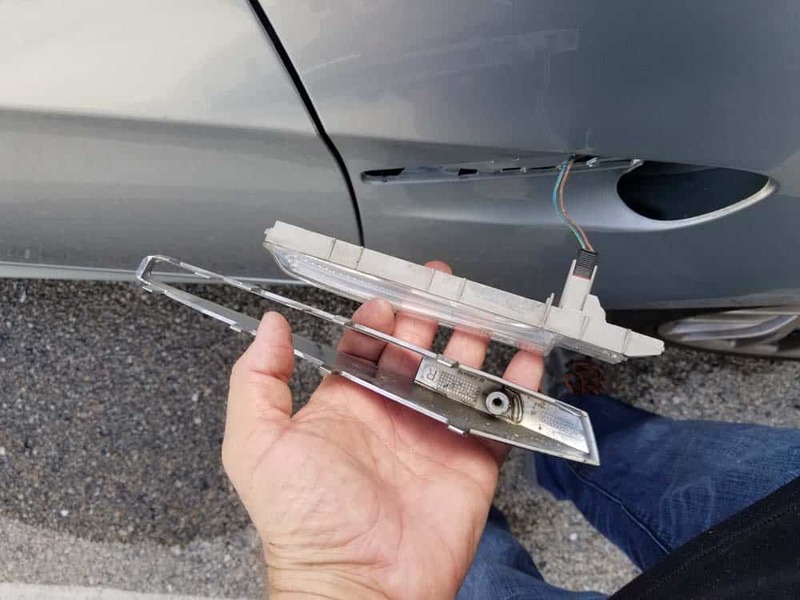 We have seen articles on the internet where owners are attempting to remove grilles with metal picks and screwdrivers wrapped in tape; this is the wrong way to remove your grilles. 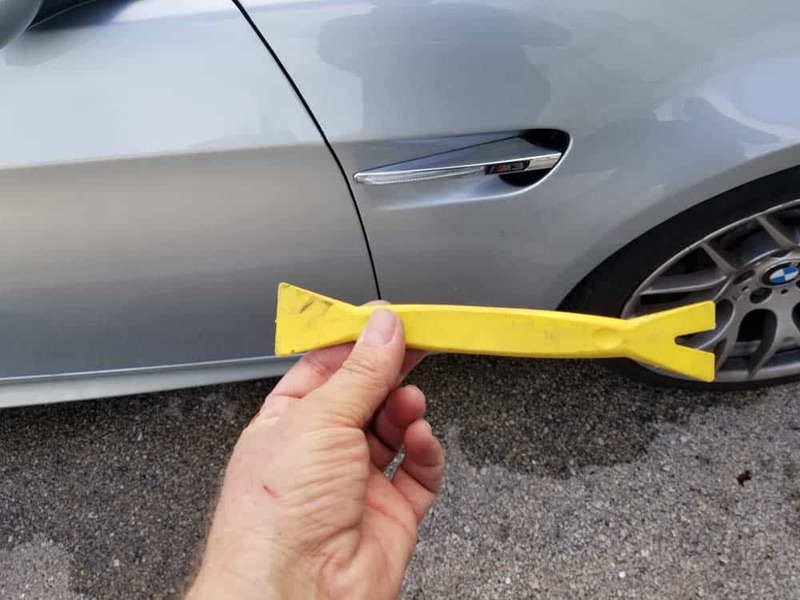 Always use a plastic trim tool to remove a BMW M3 side grille. Using a plastic trim removal tool, gently pry the top of the BMW M3 side grille away from the body of the vehicle. 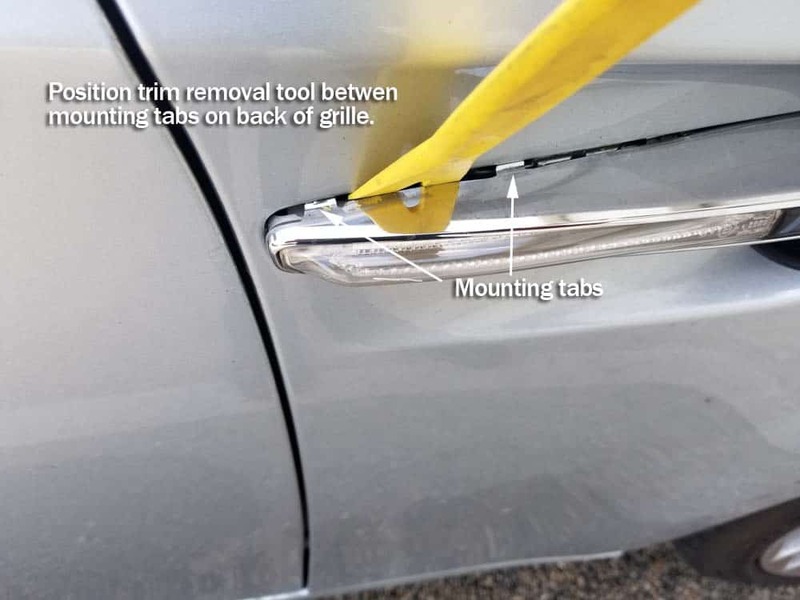 Remember there are tabs on the back of the grille that attach it to the body of the vehicle; make sure that you are in between the tabs before you pry the grille loose (see images below). 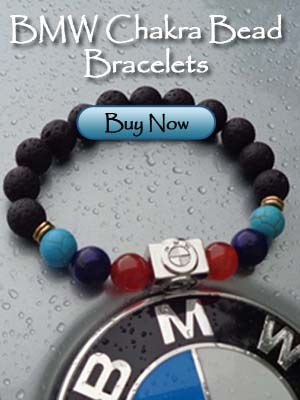 When the grille is loose, grasp with your hand and gently pull the remaining portion from the car. 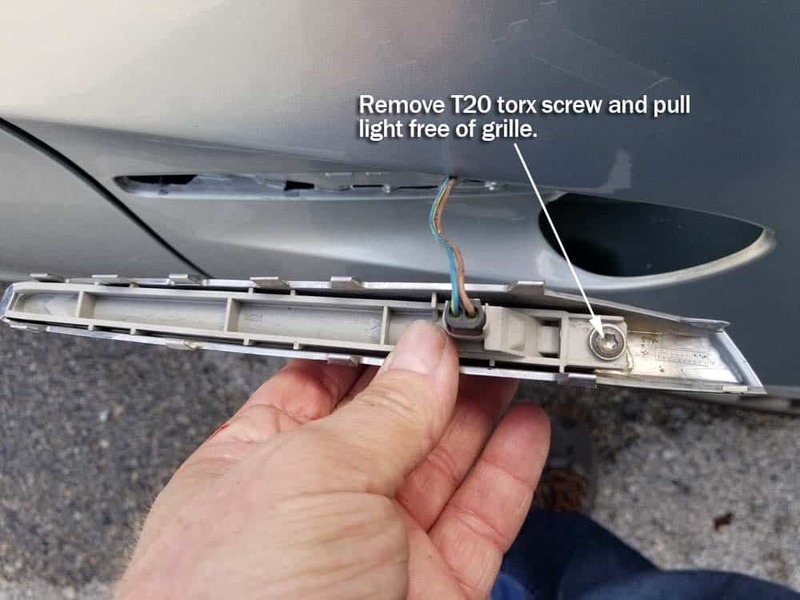 Using a T20 torx bit, remove the LED turn signal light from the grille. 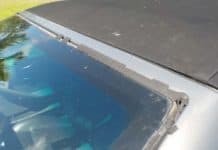 Install replacement grille following above steps in reverse. 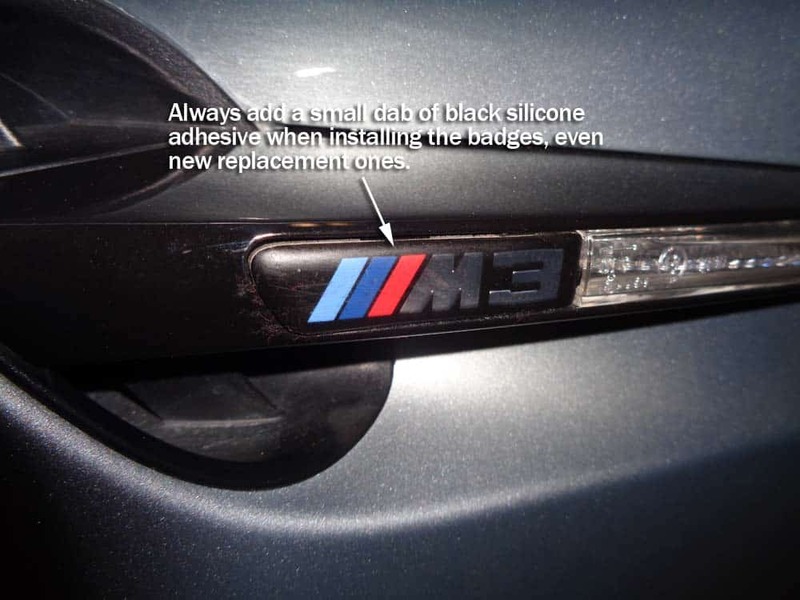 Whether you are replacing the BMW M3 side grille badges with the existing ones, or if you have purchased new ones, make sure to add a small dab of black silicone adhesive to the back before installing. 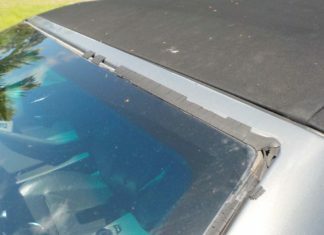 The stock adhesive on new badges will not hold by itself. If you have any questions or comments, please feel free to comment on this article by contacting us. And congratulations for Doing It Yourself!